Government of Alberta - There is a fire restriction prohibiting open fires on private land, as well as backcountry and non-designated camping sites in parts of southern Alberta. The fire restriction is in effect in the Calgary Forest Area, which extends south of Highway 32 along the mountains and foothills to the northern boundary of Waterton Lakes National Park. 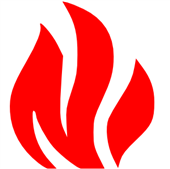 All fire permits are suspended and no new fire permits will be issued. The use of fireworks and exploding targets is also prohibited. Campfires within campgrounds in designated fire rings in this area are still permitted. Gas or propane stoves/barbecues and portable propane fire pits are also allowed. If you are found to be burning during a fire restriction in Alberta, you may be subject to a $287 fine and responsible for the costs of fighting the fire. Other jurisdictions, including municipalities, provincial parks and national parks, may also issue fire restrictions or bans. Please check albertafirebans.ca for detailed information. Up-to-date information on fire restrictions and fire bans is available by calling 1-866-FYI-FIRE (1-866-394-3473).